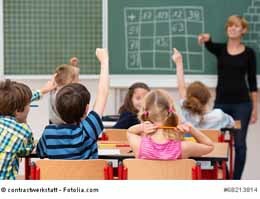 In assessing the indoor climate in classrooms, the Department of Environmental Protection Nuremberg/Germany can truly have a say. The municipal employees had carried out from 2012 to 2013 series of measurements in different school categories and also analyzed the conditions. The focus was on the carbon dioxide (CO2) in room air compared to the outside air. The relative humidity and room temperature were recorded in addition to the CO2 content with data loggers. In a nutshell, the result shows the following: indoor air quality, which is commonly found in classrooms is, at least hygienic striking. In many cases it is to be regarded as unacceptable. A value of less than 1,000 ppm CO2 is considered hygienically safe. Values between 1,000 and 2,000 ppm CO2 indicate an anomaly: it should be aired. CO2 levels over 2,000 ppm is considered unacceptable: here must necessarily be aired. The “CO2 traffic light” based on the above figures: green, yellow and red indicate the status in the classroom. The standard values quoted already as a compromise: the CO2 concentration in the ambient air is only 400 ppm or 0.04%. The measurement technicians had proposed various ventilation scenarios, the data logger chronicled every situation. In the first case was left to the ventilation behavior the teacher and the class; in the second case the CO2 analyzer warned either visually or audibly when certain benchmarks were exceeded. It turned out that the man can assess the quality of space unaided hardly correct. The lower guideline value of 1.000 ppm was regularly exceeded. At its peak, values were 2500-3500 ppm. A high proportion of carbon dioxide in the air reduces the concentration and brings increased unrest in the class. At the same time the teacher increasingly irritated responds to the increased level of noise. Why the ventilation is often neglected? Constant ventilation is extremely annoying and therefore has a subordinate position in the school system. Especially in winter, it is difficult to let cold air in the classroom. In individual cases are accident prevention regulations or structural limitations in the way. A particularly important tip insert the environmental analyst school staff to heart: at the end of the last lesson should definitely be aired. Only then can the CO2 content fall to their natural limit of 400 ppm overnight. Otherwise, the class would start early in the morning with an increased CO2 level teaching. The Department of Environmental Protection Nuremberg also examined classroom with air conditioning systems (HVAC). As expected better results than without HVAC has been made in the middle. The peak value of 2000 ppm was never exceeded. Nevertheless, it can not be done without the additional window ventilation. Because despite HVAC the CO2 concentration increased during the morning to around 1,500 ppm. Tip: The window ventilation should still be possible despite technical ventilation. After the energy refurbishment classrooms are usually completely airtight. A natural decrease of the CO2 concentration over night is excluded. The line of research showed that the carbon dioxide content can drop to the natural measure only over the weekend at school free operation. Conclusion: The closer the construction, the more conscious should be aired. With the help of CO2 lights, the school community can train yourself the proper ventilation behavior. Without installation of HVAC systems healthy air in the classroom but can be achieved only with great ventilation discipline. This entry was posted in indoor airpollution and tagged classrooms, CO2, thick air on 2014/11/27 by joachim-w.